RockMelt, the Mountain View, Calif.-based startup, is set to launch a mobile version of its browser with built-in social features. RockMelt’s move into mobile this week comes just one month after the public debut of its desktop browser. The 33-person company is competing against giants such as Apple (s AAPL), Google (s GOOG), Microsoft (s MSFT), and Mozilla, and it needs to use its small size as an advantage by quickly out-innovating its rivals. The new mobile browser will allow current RockMelt users to access their bookmarks, contacts, and settings on their iOS devices, in addition to their desktops. (The app is still waiting on approval from Apple, but RockMelt expects it to be available by the end of the week.) The company has versions for Android and other mobile operating systems in the pipeline. Other browsers already have desktop-to-mobile porting capabilities; the most notable are probably Mozilla’s Firefox Sync and Fennec and Opera’s Link. RockMelt says its offering is different because mobile sync is an automatic, core aspect of the browser’s user experience– not a feature available upon request. “We’re not going for the power users, the ones who already know how to customize a browser,” Vishria said. Instead, RockMelt is aimed at the majority of today’s web users, people who navigate the web through a couple of websites like Facebook and would never tweak their browser preferences on their own. 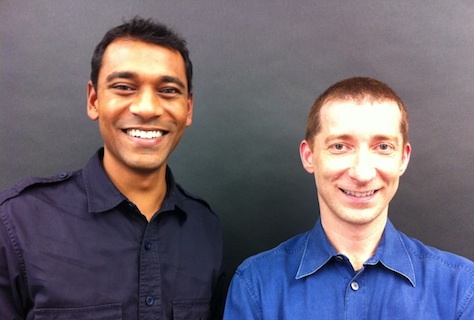 RockMelt, which was co-founded by Vishria and Tim Howes, has raised approximately $10 million from venture capital investors including Andreesen Horowitz, First Round Capital, and Ron Conway. â€œWeâ€™re not going for the power users, the ones who already know how to customize a browser.â€ I love that quote from Vishria. 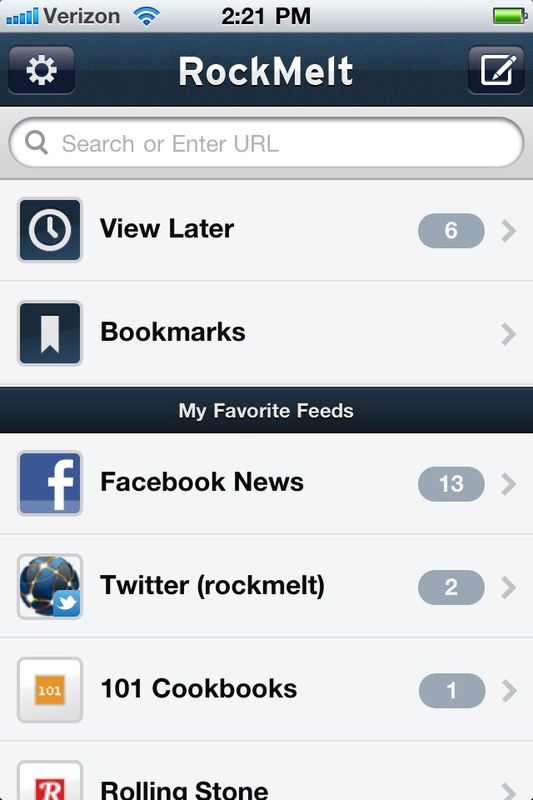 RockMelt definitely makes social media a lot easier on iPhone. I also think a RockMelt iPad app would be great. RockMelt for iPhone is a great way to synchronize your digital life. Whatever you bookmark, save for later, and follow on the desktop would be available on your iPhone too. So what is the overlap between people who don’t tweak their browsers at all and those who would try a browser other than IE, or maybe Firefox? I’m guessing it’s pretty close to zero, though the smart folks at Andreesen Horowitz clearly have some other number in mind. If RockMelt can get an iPad version out the door soon so that I can standardize across desktop/mobile/tablet then I’m sold. The desktop browser is solid and social integration works without being intrusive.